HybridEdge is a standalone Java application built around Apache Camel that provides a standards-based way of connecting Solace PubSub+ message brokers running in Public Cloud, Private Cloud, or enterprise data centers with other legacy messaging systems such as ActiveMQ, RabbitMQ, IBM MQ and Kafka. The input queue / topic. An optional Processor component that you supply (which can implement business logic such as message transformation). The output queue / topic. Supply JMS APIs for your legacy systems. Use any Camel component to send or receive messages to the Solace JMS Camel Component. Optionally add your own Processor code to perform message transformation or other business functions on messages crossing the bridge. Optionally add additional Camel components to other services (e.g. file readers, database connectors). In the next sections we'll introduce three typical use-cases for HybridEdge. The use of HybridEdge isn't limited to these situations, they merely illustrate common applications. In the following video, Solace Product Manager Andrew MacKenzie provides an introduction to HybridEdge, talks about some use cases, and gives a short demo at around the 8:45 mark. You may be in a situation where you have deployed some new, cloud-based services to Solace PubSub+ Cloud, but still require data from a legacy service running on premise - for example, from RabbitMQ. Solace HybridEdge can be deployed to allow consumption from the legacy system through publication to Solace PubSub+ Cloud. Messages published from the legacy system will be brokered through HybridEdge and published to Solace PubSub+ Cloud. In this situation you have deployed a cloud-based Solace PubSub+ software message broker to establish operation of new, cloud-based services. Legacy services - for example, ActiveMQ - running in your on premise data center may require data from Solace PubSub+. Solace HybridEdge can be deployed to consume from the Solace PubSub+ software message broker and publish to the legacy system. In this situation you have deployed a Solace PubSub+ appliance or Solace PubSub+ software message broker in your on premise data center and some data that enters the system via Solace PubSub+ is needed across legacy applications - perhaps the data is stored in a DB2 database. Solace HybridEdge can be deployed to insert messages published to Solace PubSub+ into DB2 by SQL query. 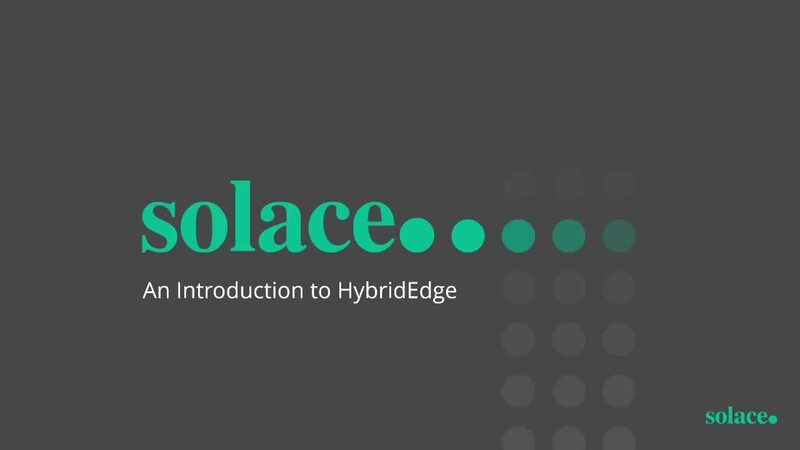 You can access Solace HybridEdge in GitHub, and instructions on how to get it up-and-running can be found at Running HybridEdge.